So for the final mani I used another beautiful UK indie this is Pretty Perfect Polish this brand is on hiatus at the moment, so fingers crossed she will be back soon. 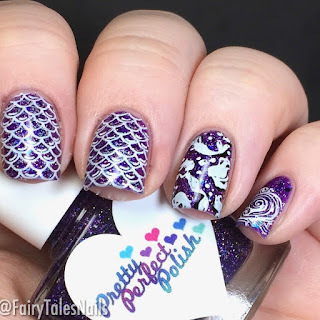 The polish I used for the base of this mermaid mani is a gorgeous prototype I picked up before she was closed. 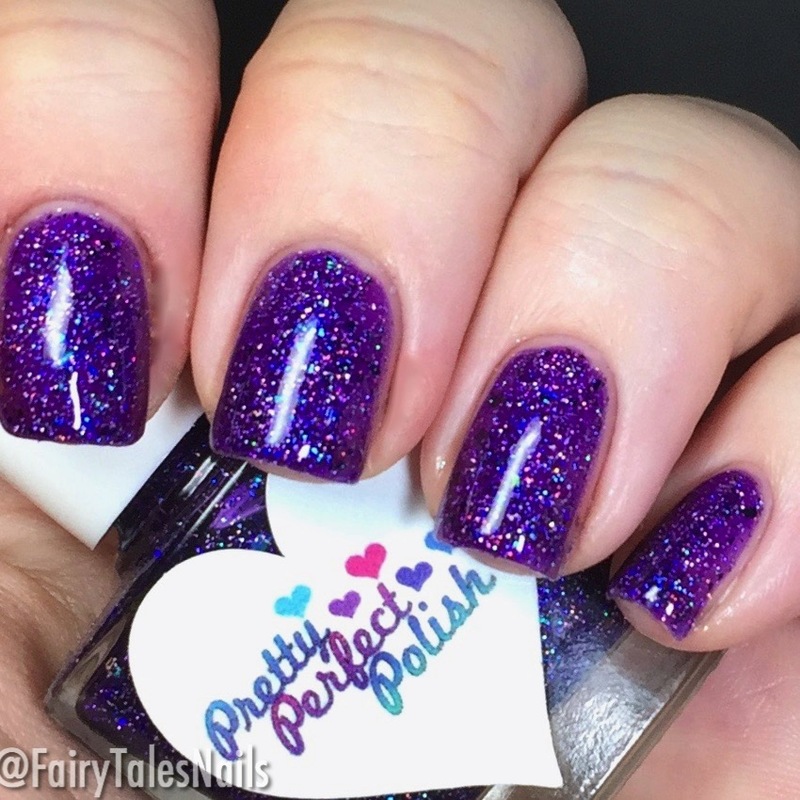 This is 'Proto 4' a royal purple jelly with scattered holographic and blue glitters, this was fully opaque in 3 coats and really nice to apply. 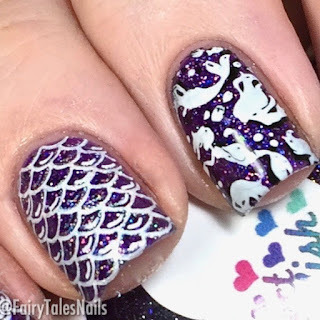 For the stamping I used that beautiful Bundle Monster BMXL212 which is a collaboration plate with 'Gotnail'. I used three mermaid images from this plate to create an under the sea vibe, I stamped using a white and black stamping polish to create a silhouette look. So there we have it my final mani for the Indie Love theme, I have really enjoyed swatching and sharing these fabulous homegrown indies with you. Obviously there are loads more fabulous UK indies out there, but it would be probably take about 2 or 3 weeks to share them all with you. Make sure you go check out all the other ladies final mani's in the In-Linkz down below. I really hope you have enjoyed this week as much as me and I hope to see you back here next week. Plenty more nail goodies to share with you all.